SAN DIEGO Finals week was dangerous for Thomas Saenz. The Navy lieutenant needed armed guards and an armored car to get to an exam site, in Kabul, Afghanistan. A deadly bomb attack also caused him to his miss classes  transmitted live via the Internet  but he persevered and earned a master's degree in engineering from the University of Southern California while commanding a top security team. "Not only was he out there living on the edge, but he had to get his homework done," USC professor Frank Alvidrez said. "They really are multi-tasking in the extreme," said Bob Ludwig, spokesman for the University of Maryland University College, adding that the coursework can provide relief from the mental turmoil of war. "It really is an opportunity to step away from the battlefield and have the sort of the safety of being in a classroom." 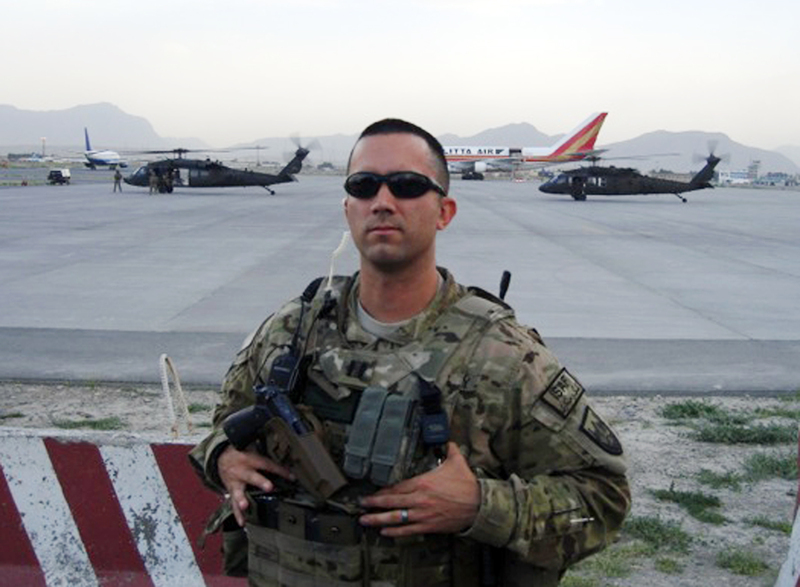 Saenz, a 33-year-old father of two, used the GI Bill to enroll at USC but midway through his studies, the Navy pilot was called to be deployed to Afghanistan. After getting approval from his professors and Navy commanders, Saenz spent his final year of studies racing to his computer on base at 5 a.m. to attend the live transmission of his classes before dedicating his day to overseeing security for top generals and then-Secretary of Defense Leon Panetta. "I was worried because it was early in the semester and I was afraid it would affect my grade," he said. "But they were real supportive." "I told my class if Thomas can get his homework done on time then I don't think there are any excuses for the rest of you all," Alvidrez said. "And he pulled an `A.' He was one of the top 10 percent." Even getting to finals was treacherous. After military officials checked intelligence to ensure there were no imminent threats, he crossed Kabul on a highly dangerous road with armed guards in an armored SUV to the Army base where a military official was certified to give him the university exams. While there, he picked up ammo, weapons and dropped off radios to be repaired, then grabbed some barbeque at a tent. Saenz said he was determined to finish his advanced degree  the second person in his extended family to do so  knowing his 10-year Navy career was ending in June. He is one of 91 service members in the university's online engineering graduate program called DEN(at)Viterbi. An essay he wrote for one of his classes was on WWII veterans going on to lead top companies after returning home. With today's technology, he sees opportunities for veterans to follow in those footsteps more easily than ever. "I think we're in that period again, with the post 9/11 GI Bill and all these kids coming back with their experience overseas," Saenz said. "Hopefully we can come back and do great things for our country outside of our uniform."